Chief Executive of YPSA Md. Arifur Rahman has attended 71st session of the United Nations General Assembly in New York. 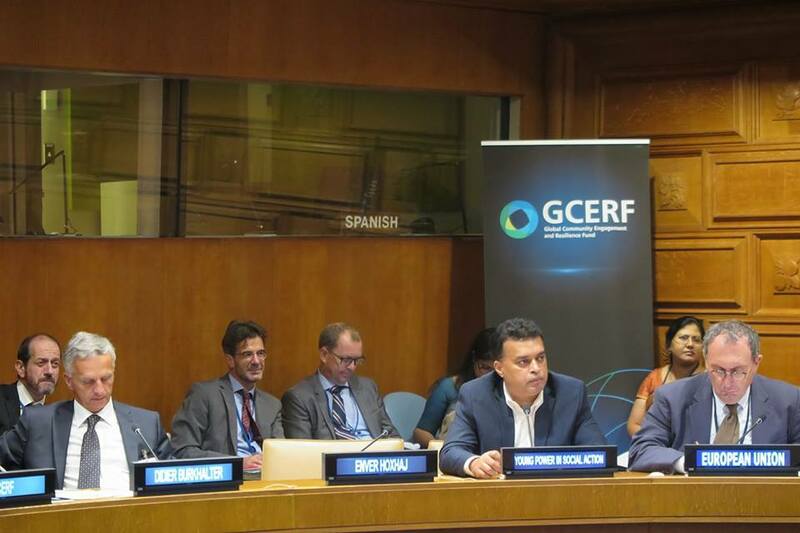 He took part in a High-Level Awareness and Pledging Meeting for the Global Community Engagement and Resilience Fund (GCERF) held at the UN Headquarters, New York on 20 September 2016. On the margins of the 71st United Nations General Assembly, the Governments of the United States and Switzerland, in cooperation with GCERF hosted a High-Level Awareness and Pledging Meeting for GCERF to pledge further assistance to GCERF, identify recommendations to help realise the potential of GCERF, and reinvigorate the commitment of the international community to sustainable, locally-led efforts to push back against the scourge of violent extremism. The meeting was attended by over 60 representatives from governments, development and counterterrorism and other security leaders, the private sector, international organisations, philanthropic community, and civil society.